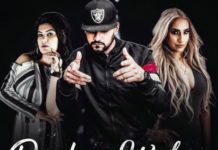 Narazgi Lyrics – Khan Saab Do Pal Di Narazgi Ek Pal Vich Mitt Jaye Je Tu Ek Vaari Aake Mere Sheene Naal Lipat Jaaye Is New Punjabi Song Sung By Khan Saab. Song Is Penned By Nirmaan And Compsoed By Lovely Akhtar , Song Is Released By Fresh Music Records On 27th Aug. 2018 . Enjoy The Lyric And Video Song Of Narazgi By Khan Saab. Label : Fresh Media Records. Jadoon Mere Kol Aaya Si..
Jo Ek Kosish Kare Vee….